There is a way to make your life better. There is a way to improve your experience of the world. The practical spiritual teachings shared here at Yogananda's Retreat provide thousands of people with the tools to more readily face the challenges of life and to be happier. I think of it as the Ananda School of Happiness. Please come for a program. We face challenges. The closer to the time of the difficulties that we deal with and accept them, the better it is for our spiritual growth. Can we recognize this at the very time of the challenge? This will be achieved when we stop reacting and take the time to respond. Take a breath or two. Even if we are not ‘on top’ of it all as it happens, keep looking at your own reactions. Stop carrying the anger, distress, or confusion as soon as you see it. A couple of days ago I found myself getting agitated about the content of a discussion I was in. I said: “I'm sorry, I'm getting too agitated. I need to stop.” This was certainly not as good as staying centered! But when I recognized it, I took steps to change it. In a short time, I had stabilized again. Do what you need to do to stay calm and centered. 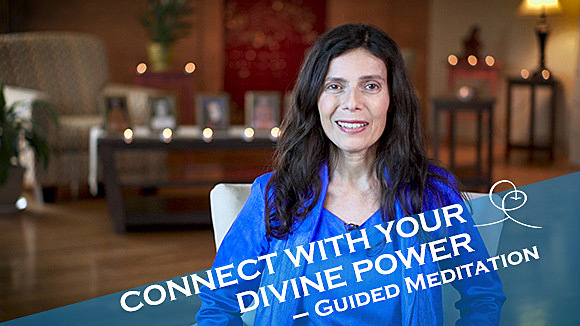 Enjoy this new and profoundly centering video with Nayaswami Diksha, Co-Director of Ananda Meditation Teacher Training. 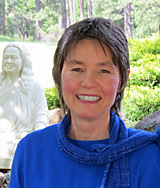 Ananda has been training teachers for almost 40 years. We don't just teach meditation-we live it, and so will you. You'll love the uplifting energy and profound peace of Ananda Village in Northern California, a highly respected spiritual communitiy. This program led by David was so well-attended and much-appreciated last year that we've asked him to do it again. Developing Intuition can be an amazing time-saving device! It is the fruit of practicing the skills you will learn during this retreat: awareness, meditation, and a joyful inner balance. 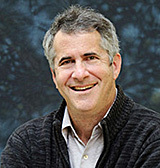 Led by David Gamow, a guest teacher and the author of Freedom from Stress. A 5-day vacation for personal transformation. During this retreat, you will learn how to experience happiness within you, and learn to find it amidst the challenges of life.